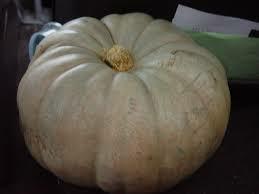 If you ask us at gardeninginfo-online.com, pumpkins are one of the greatest foods ever. Pumpkin pie, pumpkin beer, pumpkin ice cream, pumpkin anything and I’m all over it! 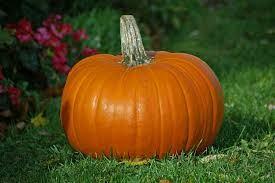 Several types of pumpkins exist, from huge jack-o-lanterns to tiny pie pumpkins. Whether you want to cook with pumpkin or use it as decoration, there’s a variety for everyone. One thing to remember about pumpkins is that they need a lot of room, as their vines can extend 25 to 30 feet long! 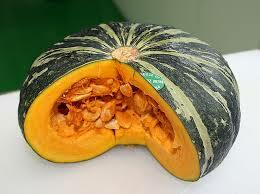 Pumpkins take 90 to 125 days to mature, so plant as soon as possible after the last frost date. Again, choose a location that gives the pumpkins plenty of room and receives full sun (8 hours or more daily). Till the entire area. Pumpkins need loose, loamy soil for their extensive roots to easily grow. Build a mound of dirt where you’ll plant your seed. This is an age old pumpkin-growing tip and helps support a strong early root system. Plant seeds about 1 – 2 inches deep and within a week or so, you’ll have tiny little pumpkin plants growing. Depending on the variety you planted, give each pumpkin plant plenty of room. – Mini pumpkins should be spaced out by two feet, small to medium pumpkins by four feet, and for large varieties, leave six feet between each plant. Alright, you won’t be turning a pumpkin into a carriage like Cinderella’s fairy godmother, but you will be turning a seed into a pumpkin,which is a bit like magic. After your seeds have sprouted, the pumpkin plants will grow like wild fire. Their vining branches will extend out somewhat chaotically, building root systems and taking up a lot of space. Pumpkins have roots that stay close to the surface, so water whenever the surface ground feels dry. To avoid fungus and disease, try to water only the roots and not the foliage. Watering in the morning or afternoon also helps prevent fungus problems. Make sure you water the main tap root (where your pumpkin plant first started). If you fertilize, use a simple and balanced 5-10-5 (nitrogen, phosphorus, potassium) fertilizer. Over the weeks, your pumpkins will grow quickly, but you want to prevent them from entangling with other plants and running rampant throughout your yard. With sheers, prune vines that stray too far or risk getting tangled with something else. Secondary vines (called runners) should be trimmed when they reach ten to twelve feet from the main vine. Cut the vine at the end and bury the end by placing a shovelful or two of soil over the cut end. After a month or less, your pumpkin plants will grow blossoms. When a female blossom opens, it waits to be pollinated so it can grow pumpkins. If a bee or other insect doesn’t transfer pollen to the blossom, it will fall off and die. After 90 – 125 days, you’ll have beautiful pumpkins ready for harvest! The vine will start dying, becoming twisty and dry. The most important indication is that the shell of the pumpkin has become hard. If you can easily indent the pumpkin skin using your fingernail, the pumpkin is still too immature to harvest. Pumpkins can be stored whole for 2 – 3 months. Some varieties can last 6 months. Always place a piece of fabric or cardboard under pumpkins. Hard surfaces cause them to rot quicker.